Proper attic ventilation does lots of good things - saves on air conditioning bills, makes your home more comfortable in the summer, and protects your home from moisture damage. Attic ventilation is an investment in your home that can pay big dividends. During the summer, heat can build up in an unventilated attic. When it's 95° outside, attic temperatures can reach 160°. This heat can seep down through the ceiling and warm the rooms below. Often air ducts for air conditioning run through the attic, and these too can be warmed. Along with heat, moisture can collect in an unventilated attic and seep down into ceilings, ruining paint, incubating mold and rot, and attracting insects and rodents. The key to proper ventilation is to create channels in which hot air flows out vents in the roof and cooler outdoors air flows in behind it from vents beneath your eves. You don't want to be pulling air conditioned air from the interior of your home. The airflow should be from the outdoors, into the attic, and out the roof. 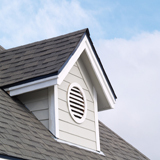 Is Your Attic Ventilation Adequate? On a hot day, measure the temperature in your attic. If it’s greater than 25° hotter than the outside temperature, the ventilation needs improvement. On hot days, is moisture condensing in the attic or seeping down into rooms below? If so, better ventilation is urgent to prevent damage to your home. If your attic has air vents below the eves that allow outside air to enter the attic, remove anything that might be blocking them. Does your roof have vents to allow air to exit? Is anything blocking them or the air flow towards them? If so, it’s important to remove these blockages. If the vents are turbines, do they turn in the summer? If not, they may need repair or replacement. Does your home have electrically-powered vents? If so, replacement may be in order. 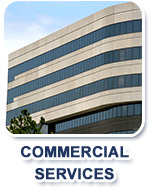 Electrically-powered vents are no longer recommended as they are energy-inefficient. In addition, they can pull so much air through your home that they pose the danger of forcing combustion gases from gas-powered water heaters and furnaces down into the interior of your home ("backdrafting"). If you find that your attic ventilation system is insufficient and you are handy, you may wish to undertake a home improvement project of improving your home's ventilation. 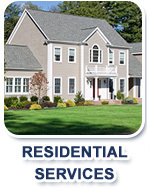 If you would like professional assistance or a Free Estimate, please contact us.